California law enforcement are celebrating a break in a thirty year old cold case this week, as an an arrest has been made in the case of the Golden State Killer. DNA has been used to identify criminals for decades. However, the methods investigators used to identify the suspect have civilians debating whether or not the suspect’s civil liberties were violated. Investigators used DNA obtained from ancestry and genealogy platforms to locate a suspect matching the profile of the perpetrator. Joseph James DeAngelo, 72, was arrested Tuesday morning, officially charged with 8 counts of Homicide committed in a decade span, across 3 California counties. They hope to eventually link DeAngelo to 12 murders and 45 rapes committed between 1976 and 1986. DeAngelo worked as a police officer for 6 years during the original investigation—a relevant detail, as investigators suspected the perpetrator had law enforcement knowledge. At the end of 1986, when the string of assaults and murders attributed to the Golden State Killer officially ended, the science behind DNA forensics in crime scene investigation was in its infancy. The first case in which DNA evidence secured a conviction in the UK in 1986 not only led investigators to the true perpetrator, but also cleared an innocent suspect whom had been previously implicated. In the last thirty years, the technology has become so ubiquitous DNA kits are available over-the-counter in drugstores all over the country. The technology has matured so immensely, the genetic profile of a single football can be identified to prevent counterfeiting during the Super Bowl. And now, the newest trend in DNA technology may have helped Sacramento authorities identify the infamous Golden State Killer. Websites like Ancestry.com and 23andme.com have made it easier than ever for people around the world to find out more about their ancestry and genetic makeup. 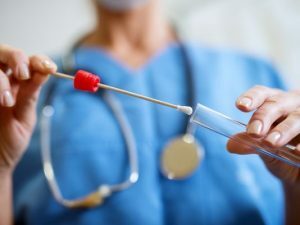 A buccal swab mailed off to a genetics lab can return results of information on everything from the palette of colors in your ancestors’ lineage to the medical problems running in your immediate genetic line. Sacramento authorities have released information advising the DNA provided to these services for informative purposes was one of the chief investigative tools in identifying DeAngelo as a suspect. According to lead investigator, Paul Holes, GEDmatch was the database utilized leading them to DeAngelo. GEDmatch is a research tool using a database of voluntarily supplied DNA samples for researchers and genealogists. “We were able to generate a DNA profile we uploaded into [a] … database of other similar types of profiles,” Holes told KGO. “And then from there, we get a match list of how much DNA these various other individuals share with the crime scene DNA. The more DNA they share, the more closely related they are.” After obtaining information from the GEDmatch database, they placed him under surveillance. They collected several samples of his discarded DNA, which they were able to match to a DNA profile compiled from samples collected at the plethora of crime scenes, subsequently leading to DeAngelo’s arrest. Familial DNA searches are becoming more common in forensic science, and as such, more and more controversial. As was the case in identifying DeAngelo, investigators often submit a finite number of genetic markers into a database of genetic samples and the database will return a list of possible results. Results are then cross-referenced with other databases and records to thin the suspect pool. 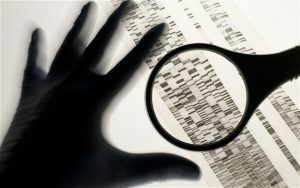 These practices are controversial because large percentages of the country’s population share the same genetic markers, yielding ambiguous results for investigators. Many civilians feel as if the method leaves their civil liberties vulnerable, as though their genetic profiles might make them guilty by association. Currently, the only legislation preventing an individual from being discriminated against, based on their genetic information, is the Genetic Information Nondiscrimination Act of 2008. At a press conference on Wednesday, April 25th, local law enforcement did not release specifics about how the DNA obtained from GEDmatch was used to locate DeAngelo. Instead, they focused on how a more comprehensive DNA databank in California could have led investigators to DeAngelo sooner. The existing legislations, Proposition 69, was passed in 2004 and allows law enforcement to collect DNA and fingerprints at the earliest stages of criminal proceedings—beginning when the suspect is arrested, as opposed to post-conviction collection. Despite controversy, the law was upheld earlier this month. On April 28th, in his first court appearance, Joseph James DeAngelo was formally arraigned on two of the eight counts of murder with which he is formally charged. He did not enter a plea and bail was denied. His next court appearance is scheduled for May 14th, 2018.